I’ll be the first to admit it. Sometimes, by the time I’ve finished writing one of my more difficult books, I have troubles remembering why. Why in the heck did I think it was a good idea to write about Black Lives Matter? I definitely had the same doubts by the time I finished What Are Race and Racism? But difficult projects are often the most important. Why? Because they are the stories that need to be told. Here are 4 tips for those of you contemplating such a project. Write about the things that annoy you. Writing about something that is controversial and people argue about. If it is a topic that people are passionate about, young readers will want to read it and librarians are going to be more interested in having the book on their shelves. This is also the topic about which you will be passionate enough to finish. Question your assumptions. When we write about things that tug at our heart-strings, we have to remember to question our assumptions. It is easy to assume that a source is spot on and 100% correct because it agrees with what you believe. Look for the proof that you need to back up that opinion. You may not like what you find but that’s okay. You’re trying to get at the facts. Don’t expect everything to be black and white. We’d love to answer all of our readers questions. But sometimes there is a fact that you simply cannot find or something that has yet to play itself out. When things are unclear, admit this to your reader. Give them the facts, some people say X, others say Y and this is why we don’t know who is right. Give the panoramic perspective. Looking for sources that disagree with your assumptions and admitting what we don’t know are important because you should be giving your reader the big picture. I knew which side I agreed with when I started writing the DAPL (Dakota Access Pipeline) book but I portrayed both sides. When I wrote Black Lives Matter, I gave the straight forward facts surrounding each situation. It is your job to present your reader with the broader facts. Writing about difficult topics is hard, there’s no doubt about it. From finding the facts and laying them out in a way that let’s your reader come to their own conclusion, it is a tricky balancing act. But it is definitely worthwhile. Put it away for a month. Whether you are writing novels, picture books, or poems, you’ve probably been given this advice. Put your work away. Gain some distance. Then it will be much easier to see what needs to be fixed. And it’s good advice when you have the time and space to take it. Unfortunately, if you are doing educational writing that happens to be work-for-hire, your deadlines tend to be tight. You know you don’t have the right word. A phrase is rough. Something just isn’t working. But you don’t have time to put it away for a month because you have six weeks from start to finish. You might find the time to clean the bathroom (oh joy) but then you’re right back to it. Hopefully swishing the porcelain clean was all the break you’re going to need because it is all you’re going to get. About 2 weeks ago, I started playing around with a new preschool poem. You can read about it here. It was originally a type of poem known as a Golden Shovel. Mine was a riff on a Poe’s Eldorado. To put it mildly, it did not work. Three lines just wasn’t long enough to develop the rhythm or any type of rhyme scheme I liked. Version 2, written the next day, was 8 lines long. Or at least it would be 8 lines when I managed to fill them all in. Day 3, I filled them in but the rhythm was a bit off. Day 4 it was almost there but . . . nope. Some word just wasn’t quite right. I’d change one word and then change it back. Then I’d fiddle with a different word. I suspected that I was on the verge of doing more harm than good so I put it away. After a break of about a week, I got it back out this morning. Coffee cup in hand, I changed one word in line 3. Line 4 wasn’t quite right. I stared at that for a bit, changed 2 words. Changed one back. Changed the other to something brand new. It took me maybe 10 minutes. Ten minutes to fix what I’d messed around with for 2 days. Distance. It really does help. I wonder if it would have gone quicker if I’d set it aside for a full month? Just kidding. But I do have another week to ignore it before I show it to my critique group. New imprints mean new publishing opportunities so I was thrilled to see these two new imprints written up in Publisher’s Weekly. JY is a new graphic novel imprint that will focus on middle grade readers. The imprint is named after JuYoun Lee, the deputy publisher of Yen Press,. JY will launch this fall and will ultimately publish about 12 titles annually. The JY launch list will feature W.I.T.C.H., a series for girls that was originally produced by Disney Publishing and Digital Media in the mid 2000s. It tells the story of five girls who become “Guardians of the Veil’’ after receiving magical powers. The series was first produced in Italy and will be repackaged in English and with a new trim size. The first three books in the rebranded series will be released this fall. Next up will be a graphic novel adaptation of Big Hero 6, an animated Disney feature film. Big Hero 6 will also debut as an animated TV show on the Disney XD channel in spring 2018. Lee told PW that she is actively seeking submissions with plans to develop new comics authors. You can see the entire PW story here. Even more opportunities come from Yonder: Restless Books for Young Readers. The mission behind the larger company Restless Books is to “give voice to those who don’t have a voice.” The company seeks to remove barriers to cross-cultural communication even now when anti-immigrant sentiment is pervasive. The company has already published book from Cuba, Madagascar, Brazil, Iceland, Malaysia, Pakistan, the United Arab Emirates, Russia, Mexico, and Israel. Why a children’s imprint? Restless Books feels that if American readers became accustomed to diverse books at a young age, they would be even more accepting of them as adults. Publisher Ilan Stavans wants to find the right books that will encourage this type of broad reading and has been discussing the topic with Restless Books readers as well as independent bookstores with close ties to the house. Yonder’s titles will run from picture books to middle grade and YA. Producing these titles will require developing close ties with translators who will be responsible for maintaining the feel of the original book while also making it accessible to young American readers. In October, Yonder will release The Wild Book, written by Mexican author Juan Villoro and translated by Lawrence Schimel. It is a middle grade novel about a boy who stays with his eccentric, book-collecting uncle, who takes him on a quest to find the wild book which has never permitted itself to be read. The book is illustrated by Mexican artist Eko. For more on this story, see the complete PW write-up here. You can also find out more here at the Restless Books website. Are you a children’s illustrator? 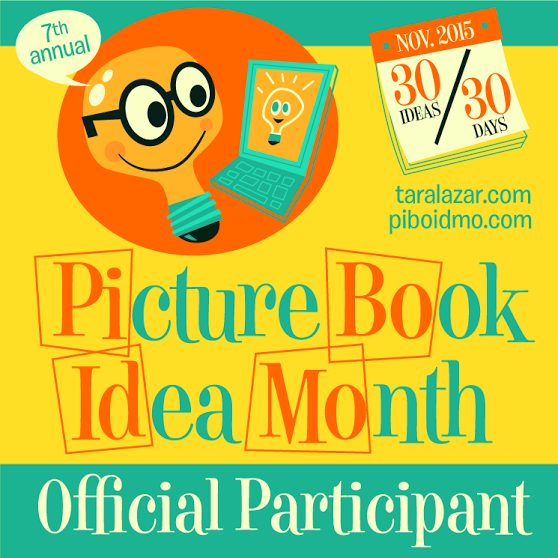 If so, here is a fun contest you can enter as long as you are a member of SCBWI. The KS/MO (Kansas and Missouri) Region of the Society is hosting a content. The winners illustration will grace the KS/Mo Fall Conference 2017 programs and will be displayed on the Kansas/Missouri SCBWI web site. It is a great opportunity to get your work in front of art directors, agents, and editors. Don’t dawdle! DEADLINE: August 7, 2017, by midnight. The winner will be notified by late August. 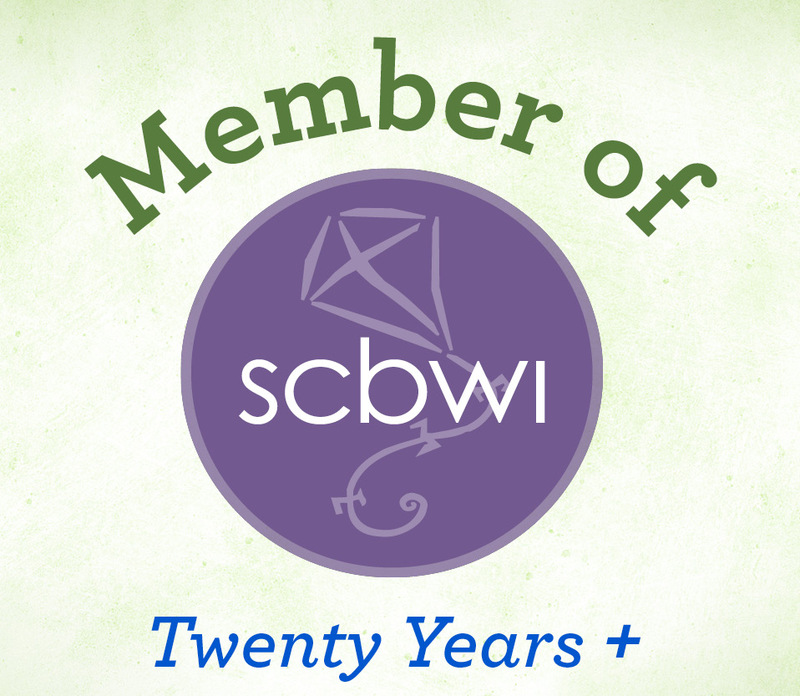 Open only to SCBWI members. The illustration must be original, created by the illustrator submitting the work. Submit a 350dpi .jpg of an 8” x 10” original work of art to illustrate the conference theme: Middle of the Map. Send it as an email attachment to Amy Kenney at ksmo-ic@scbwi.org. Submission files should be labeled with your name (eg: sam_doe.jpg). Include the following in the accompanying email: your name; mailing address; telephone number; illustration title (if applicable). I wish I was an illustrator! The winner will be notified by the end of August, and will receive free tuition to the 2017 Kansas/Missouri Fall Conference on November 4th, 2017. Note: You, the illustrator, will retain ownership of the illustration. Sometimes first hand experience trumps all other types of research. I just finished listening to the audiobook for Killers of the Flower Moon, a prohibition era true-crime story. It tells of the creation of the FBI and attempts to figure out why so many wealthy Osage are dying. It also describes the full-on darkness of open countryside when electric lights were a new thing. I thought I got what the author was saying. I have experienced this type of darkness but it has, admittedly, been a while. Saturday night storms rolled through our area. A lot of people lost their electricity. It was full dark Sunday when a friend asked if her son could spend the night with us. Sure! We have electricity and I’m more than willing to share. I hopped in the car and headed two blocks away to pick him up. . .
Wow. Trying to pick out the right house in a row of houses with similar floor plans was impossible. And the color of the house? Useless. Our eyes need a certain amount of light to perceive color. I could even spot the Texas star hanging on the outside of their house. Fortunately, the headlights of another car illuminated the front of the house. Otherwise I might still be looking. I had gained first had experience that made the research all the more meaningful. Do you ever try things out on your own when you are writing something? Or do you rely on other people’s research? Granted, first had experience isn’t always possible if your character is flying about on a broom or cloning a dinosaur. But you can cook the foods your character would eat. You can listen to music, hike the trails, or make the hand craft. After all, many things are easier to describe if you have first experienced them. Use both research and experience to bring your readers the detail that will shed light on the world of your story. Do NOT dumb it down. I spent a lot of time pool side this weekend and ended up talking to fellow swim team parents that I don’t see very often. I compared work stories with one of the dads who asked what I had been writing. He nodded sagely as I explained the Dakota Access Pipeline book and the media literacy book. Then I mentioned the Electoral College. If you writing for children, please, please, please do not dumb things down. Do. Not. Kids are smart. They are set on “maximum learning.” If you write children’s nonfiction, it is your job to give it to your reader in managable bites. Dumb it down and you make it clear that you don’t respect them. You aren’t sure they can handle it. Bad. Just bad. Don’t do that. Does this mean that you can write about absolutely anything for young readers. No. Just . . . no. Some things aren’t age appropriate. Other things just won’t interest them. Astronomy for a preschooler? Day and night. The earth moving around the sun. Astronomy for an early grade schooler? Planets and moons. The different characteristiccs of different planets. By the time you get to high schoolers you can write about the chemistry involved. Physics, biology and systems all play a part. Come up with a topic that matches your readers interests and age level and you won’t have to dumb down a thing. In fact you might find yourself hurrying to catch up. In good news for we writer types, Publisher’s Weekly recently reported that print sales are up in the first half of 2017. Sales for January through June are up 3% over the same time period last year in spite of the fact that there was no new blockbuster best seller for that time period. So what’s leading sales without Harry Potter or another banner title? The backlist favorite for the time period was the same book that led in 2016 – Oh, the Places You’ll Go! by Dr. Seuss. Not surprising since it has become a mainstay gift for new graduates but humorous in that it led among both juvenile and adult titles. Oh, the Places You’ll Go! also led sales in juvenile books which also benefitted from sales of Thirteen Reasons Why by Jay Asher which sold approximately 500,000 copies in two editions. But the leading category in juvenile books? Fiction titles about animals saw a 21% increase. 21%! Juvenile nonfiction saw a 4% increase over the first half of 2016. Again, backlist helped and this time was led by First 100 Words by Roger Priddy, which sold almost 195,000 copies. Publisher’s Weekly also reported that board books continue to sell well, 2017 up 10% from the same period in 2016. How can we use this information? Well, I wouldn’t recommend attempting to write like Dr. Seuss or ride on Jay Asher’s coat tails. But if you have a piece of fiction that is all about animals, crop some of this information into your cover letter. And I’d use the numbers when submitting a board book as well. Now, if you’ll excuse me, I have a fiction title featuring exotic pets that needs to find a home! What books are you currently reading? Do you have a stack of books on your bedside table? Beside your favorite chair? My dresser looks like a library dumping ground and this is the shelf of items currently checked out from the library. The two books on top of the Star Wars box are both adult fiction but all of the rest are children’s books. The shelf has had a lot picture book on it lately. Some of them are predictions for the Caldecott. Some just caught my eye. In truth, I’ve been focusing on reading picture books because I’ve been insanely busy and haven’t had time to read much else. At the moment I’m reading three books. Sioux Code Talkers by Andrea M. Page. Ironically, since I just wrote about the DAPL, Page is a member of the Standing Rock Sioux, the reservation near which the pipeline crossed the Missouri River, putting their drinking water at risk. I’m also reading The Photo Ark, a National Geographic book by photographer Joel Sartore. Because of this one, I might move forward with a project I’ve been noodling over for something like 15 years. Last but not least, I’m listening to the audio book of Killers of the Flower Moon by David Grann. That’s an adult nonfiction title about a series of murders of prominent Osage in the 1920s. The subtitle of the book also indicates that it is about the formation of the FBI. I don’t know yet if the case helped shape the FBI or if it was simply a matter of a case taking place at the same time as the shaping of the Bureau. History and social science. Animals. Nonfiction. Those things feature prominently in my reading pile. So what are you reading? It doesn’t have to be exactly what you are writing. For example, I don’t read middle grade fantasy when I’m writing middle grade fantasy. The voice is too often distracting. But I can read picture books when I write picture books. Take a minute and let the rest of us know what you are reading. Maybe you’ll help us all find a new literary treasure. Where do I get ideas? I once made the mistake of telling an interviewer that I get my ideas everywhere. The flow can be so invasive, that I’d have to put a bucket over my head to turn it off. That was one line out of a 20 minute interview. Guess which quote she used? In January I took part in Tara Lazar’s Storystorm. The point is to come up with one idea each day of the month. I’m not 100% certain how many ideas I had by the end of January, but I keep on adding to the list. At this point I have 178 ideas. That’s not too bad given that we are 181 days into the year. Of course, I can hear the doubters among you already. What good does 178 ideas do? How many of them are you going to write? At this point I’ve queried on 4 pieces of magazine nonficiton and have roughed out two picture books. Not too shabby for just over half way through the year if you take into consideration that I’ve written 3 other books. But where do these ideas come from? I get a lot from my reading. I read a number of science blogs. New findings and new interpreations can inspire both ficiton and nonficiton. History blogs are just as good. Writing blogs can inspire my own blog posts. “Hey, that’s not what I thought I post with that title would be about!” Blogs about books work the same way. Having a brain that’s as chatty as mine is both a blessing and a curse. I’ve never been one of those writers who wonders if I will come up with another idea. I just have to pick which one to work on next. But I also have to manage to stick with it. If I’m not careful, the next super shiny idea can lure me away. I don’t consider myself a poet but I like to dabble. Because of that, I keep an eye out for new-to-me types of poetry. Here is one that Jane Yolen wrote about in her June 19 daily poetry mailing – the Golden Shovel. Terrence Hayes recently created this form in homage to poet Gwendolyn Brooks. The writer selects a favorite line or lines of poetry and uses the words, on order, to create a new poem. Each word becomes the last word of a line in the new poem. In this article, the Poetry Foundation says that often the lines come from a Brooks poem. Yolen took hers from an Emily Dickenson poem. Yolen wrote hers as something of a poetic conversation between her poem and Dickinson’s. The Poetry Foundation article doesn’t mention this, nor does Robert Brewer in his post on the form. Like Yolen, Brewer took his line from something other than a Brooks poem – his is from Basho. The name of the form comes from the poem that Hayes originally created, The Golden Shovel. You can read it here. My first attempt involved working with lines from Wynken, Blynken and Nod by Eugene Fields. Wynken and Blynken? Oh, help. So I chose two other lines. “Sailed on a river of crystal light/Into a sea of dew.” But the words “a,” “of,” and “on” weren’t a whole lot better. Pbbt. I can’t say that what I came up with is brilliant but it sure has a different tone than Eldorado. Down the hall we ride. In truth, I only strongly dislike the last line. But nothing I try feels like an improvement. Different? Yes. Improved? No. The key to making this one work may be abandoning the Golden Shovel format. Why? Because I can see it working much better in four lines. Three? That just feels too short. Four or six? Much more do-able. So if you’ll excuse me, my stick pony and I are going to go rework a poem.